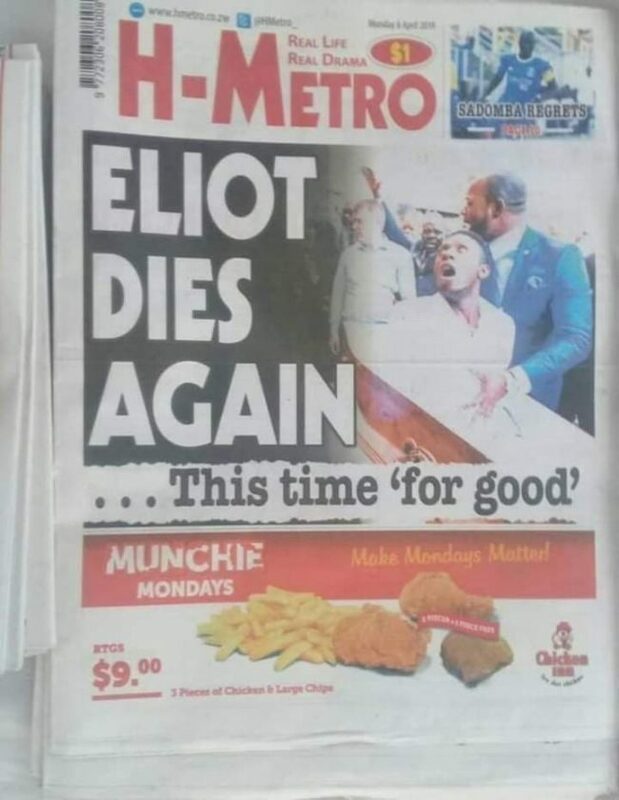 Its just a month and half that a Zimbabwean national living in South Africa by the name of Eliot was reported dead and then resurrected by one Pastor Alph Lukau of Alleluia Ministries in Gauteng, an issue that raised so much controversy as the events leading to his death were questioned with the funeral Home that was purported to have kept his body denying it all. Two days ago and news reached that the young man has died for the second time, this time for good. I share my views on the issue. Firstly, if indeed the young man has died less than two month of being resurrected, then Alph Lukau’s God is foolish, childish and misdirected to perform a miracle for nothing all for show off only for him to withdraw his spirit from the resurrected man after controversy and let him die. Secondly, if the miracle was staged and seemingly is the case then the powers that be of Alleluia Ministries who couldn’t stomarch the embarrassment of the poorly executed miracle have opted to take the young man’s life so as to kill off evidence and close the resurrection miracle chapter as further investigations will not be carried out in Eliot’s absence. Thirdly and Finally, it could be God doing what he promised, exposing works of deception as he said through the Apostle Paul in 2 Timothy 3:8-9..
All in all its illogical to waste time resurrecting a man only to take his breath shortly after. I doubt if really it was the Lord’s work.